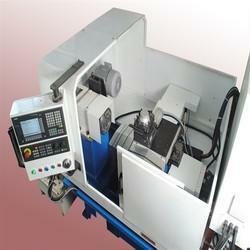 We are a renowned manufacturer and exporter of highly reliable Boring And Teeth Chamfering SPM. These systems are compact in size, light in weight and offer precision torque adjustments that shuts-off when torque is reached. Fabricated using the quality assured raw material and latest technology, the Chamferring SPM is rust free in nature. 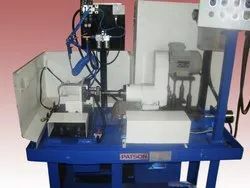 The machine has a user-friendly control panel and is suitable for various metals with an excellent speed. Before the final dispatch, Boring And Teeth Chamferring SPM is stringently inspected on the quality parameters. Operator will load the job in the fixture. It will pneumatically clamped. Drilling operation will be carried out in wood peck cycle. Pneumatically operated fixture shuttle slide move to next distance for close C.D. Drilling operation for second hole will be carried out. Slide moves to home position. Looking for Boring And Teeth Chamfering SPM ?